20 million dollars worth of Public & Product Liability. Halcyon, pronounced – “HAL – SEA – YON” – adjective – 1. denoting a period of time in the past that was idyllically happy and peaceful. Hello, I’m Gabor Karl, owner and operator of Adelaide based Halcyon Handyman Services. I am available to undertake a wide variety of projects around the home or office & can provide no obligation free quotes for one off projects as well as ongoing maintenance if required. Over the last 35 years working within the building industry & other successful enterprises I have obtained a broad skill set allowing me to successfully undertake the many different handyman type jobs so often needed around the home or office. For your peace of mind, Halcyon Handyman Services are fully insured with 20 million dollars worth of Public & Product Liability. I would recommend the workmanship of Gabor Karl . He did an excellent job and cleaned up after he had finished . He was prompt in initially contacting me and in providing a quote. Gabor was brilliant and really affordable. Highly recommended and we'll definitely use him again! On time and spent a lot of time helping me out with a few jobs and was very reasonably priced. 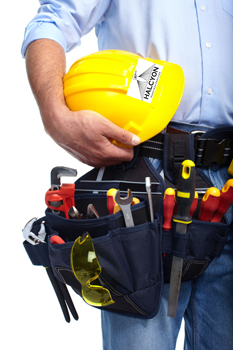 Halcyon Handyman Services are fully insured with 20 million dollars worth of Public & Product Liability. © 2016 Halcyon Handyman Services. Developed By: Australian Webpage Effects.